I didn’t realize I had a few bat posts back to back in my draft folder! We’re so used to seeing “Batmobile” in reference to our favorite winged crime fighter, that we tend to forget about the bat mobiles. Here is a handmade one for the home, of rather epic proportions. I admire the patience and effort that went into the construction. It was made with sewing frames, acrylic paint, thin sheets of compressed foam, string, fishing line, and electrical tape. Well done! Some other decorations were also featured in this post. 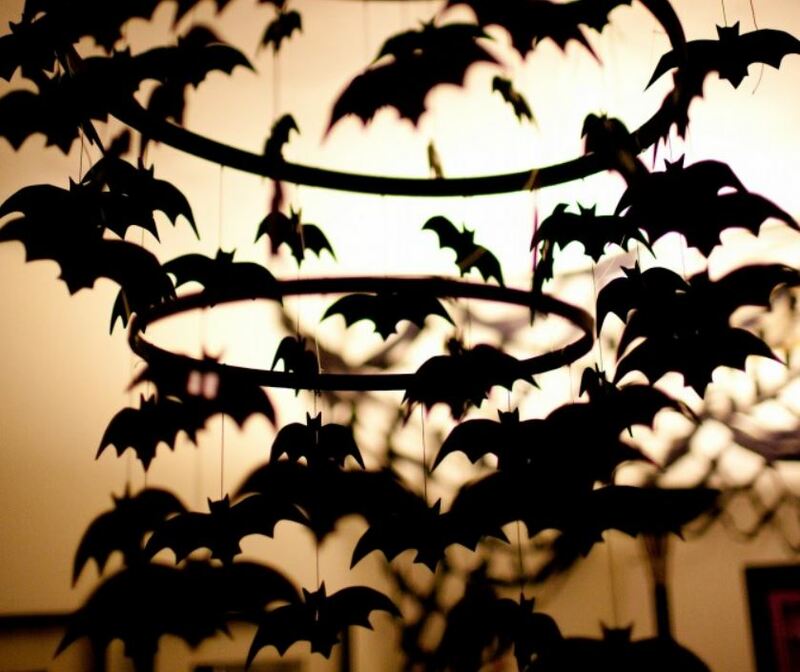 This entry was posted on October 29, 2014 at 8:45 pm and is filed under craft, decoration, halloween, home with tags craft, decoration, halloween, home. You can follow any responses to this entry through the RSS 2.0 feed. You can leave a response, or trackback from your own site. Wonderful! 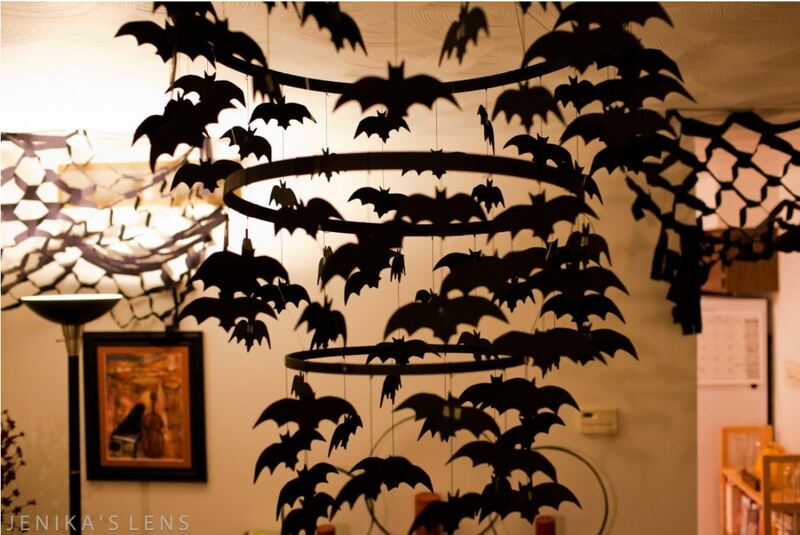 Closest I can get is a meager sheet metal one, with 3 or four bats and a moon, which resides in the Craftorium. Whoa! Wicked inspiring! Love it!